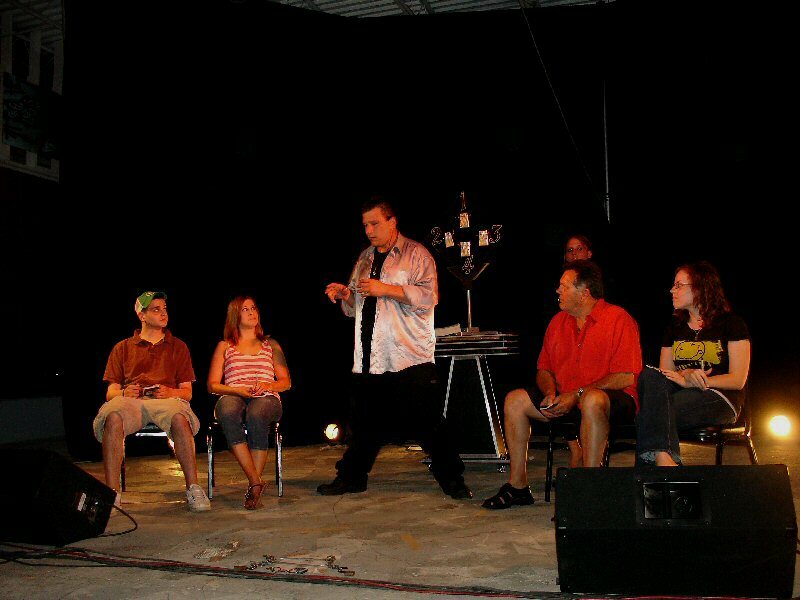 If you need to find and hire a corporate magician or entertainer to provide a highly entertaining evening of entertainment, yet performance space and/or budget restraints will not allow for one of Aedryan's larger corporate shows then this is the perfect entertainment solution for your corporate event. 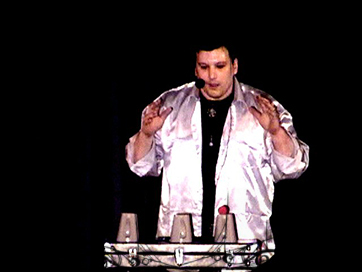 Aedryan's One Man Standup/Cabaret corporate magic show is extremely versatile and hassle-free. But, don't let that "fool" you... You will find that Aedryan's hospitality suite magic show still has a lot of scalability, features and customizable options that are simply not offered by the majority of other corporate magicians and entertainers for hire with this type of act. This is definitely not a "briefcase magic act"! 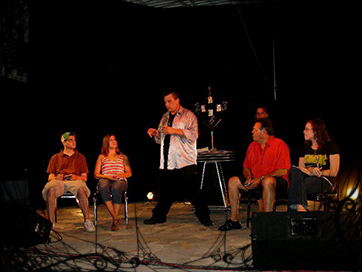 Whether the performance space will be in the living room of a private residence, on the floor of a ballroom or banquet room or on the stage of a civic arena, Aedryan can scale this corporate magic show to suit the performance environment. 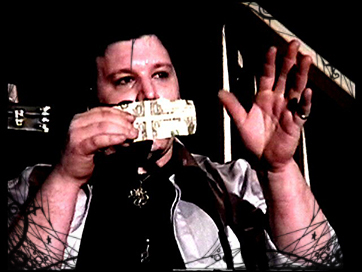 This corporate magic show entails 60 minutes of some of Aedryan's most classy, elegant and intimate cabaret/parlor magic (many of the same effects from his larger corporate magic shows). 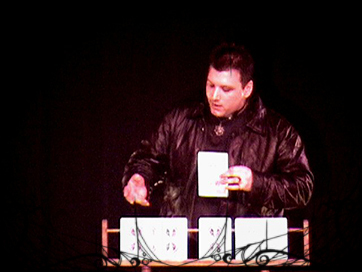 Aedryan will involve your guests with highly interactive audience participation magic, comedy and sleight magic, as well as impossible mindreading, mentalism and predictions. And, of course, lots of gags, bits of business and “in-betweeners” that will have the audience in stitches. The major difference between this act and Aedryan's Las Vegas Style Cabaret show is, it's all about Aedryan's pure showmanship, versatility and the magic. 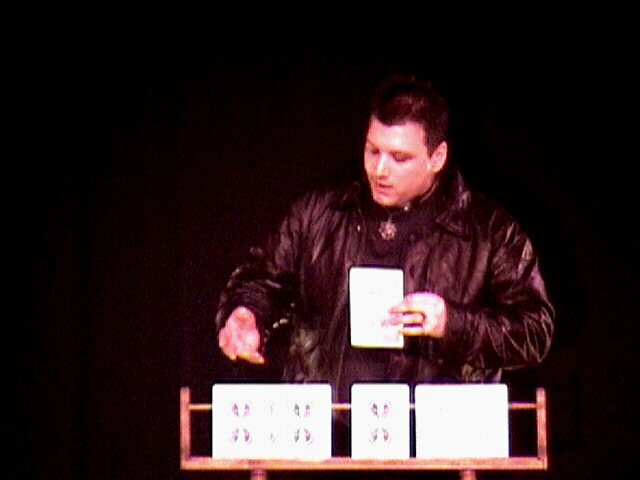 Though, all of the extra bells and whistles included in Aedryan's larger corporate magic shows really add to the whole experience, strong magic and presentation are what is most important. 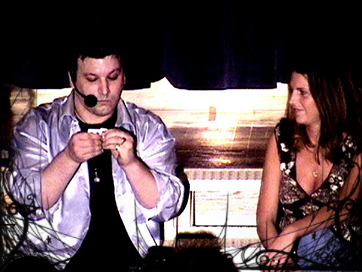 You will find that unlike many other hospitality suite magicians and entertainers for hire with smaller acts of this type, Aedryan goes the extra distance for this hospitality suite magic show to make it as theatrical as possible. This act includes a sound system and every routine has captivating music, which truly sets the mood for each effect (before, during and after). 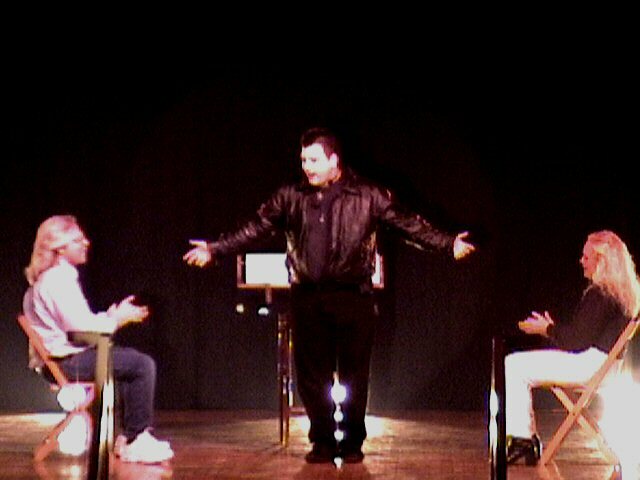 Just as you can expect from any show by master magician/illusionist - Aedryan Methyus, all of these elements will be combined with his personability, lovable charm and comical antics. 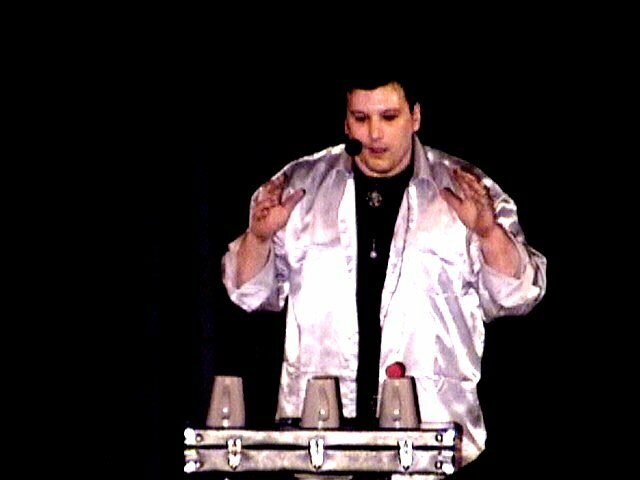 And, as with all of Aedryan's performances, this corporate magic show package is a sure way to add GUARANTEED "wow factor" to your venue or event! 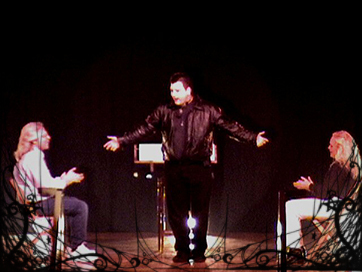 * This extremely versatile corporate magic show by corporate magician - Aedryan Methyus can easily be setup and performed in most residential situations or on the floor of any ballroom or banquet room, yet it can be upscaled to the stage of the largest civic arenas. * For larger events, Aedryan can also incorporate lighting, fog and backdrops to create a theatrical atmosphere and transform this show into an upscale act that will still be very economical. * Interested In Having Aedryan DJ Before Or After The Performance? Ask for details! Compare Before You Hire A Hospitality Suite Magician! Aedryan Methyus Differs From "The Norm"!